AWW i like this little cat! Hola Lucia...muy bonitas ilustraciones..ya te sigo!!! Very original work. Very Personal, I like it and tried something like this (living and learning...:)). May I "speak" in Portuguese? 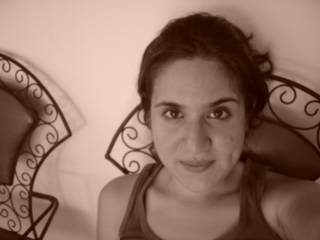 Hi Lucia, just found your blog and you have a new follower! 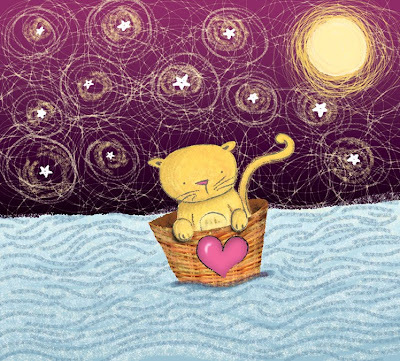 This is a beautiful piece - I love your tribute to Van Gogh, the swirley stars, colors, the cute kitty, and the movement in the water - wonderful! ¡¡me da tanta alegría ver tus progresos!! hi lucía! i am a paulinho couto's friend. i saw your post and your link there and i resolved to give a look. i had a great surprise when i entered in your site. it is very beautiful. a very nice work. congratulations! i like it very much. since now, i will always be here giving a look. =) bye bye. Mil gracias por tus palabras en el blog, y por pasarte a visitar..
Tus personajes son tiernos, espero seguir viendo más pronto.